Examining: Bullying from Both Sides is a 3 credit hour course based on the book Bullying From Both Sides by Walter B. Roberts, Jr. 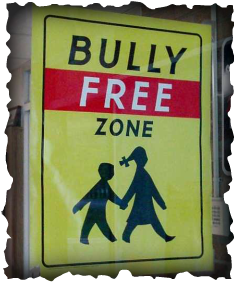 Focusing first on the nature of bullying and what bullying entails, the course then delves into emotional needs of the one who is being bullied. Finally, in an area that is not often addressed, the emotional make-up, problems and needs of the one who bullies will be explored. This on-line class is divided into three modules and presented in a modified, self-paced format. Participants are encouraged to access the course regularly and make reasonable progress, but there are no due dates attached to individual assignments. Instead there are 2 absolute due dates (mid-term and the last day of class) to provide flexibility and to better accommodate participants' busy schedules. Each module contains reading assignments from the book Bullying From Both Sides by Walter Roberts, Jr. Participants will be required to read various chapters from the book, which will directly address theory. Each module also contains several discussion forums, assignments and a quiz to be completed at the end of the module. The discussion forums, assignments and reflections will allow participants to utilize and put into practice the theory that they have learned. Students will receive coaching and feedback on their discussions and assignments from the instructors as these activities are completed.